Cones will show you where we can park. Please move the cones and park. We park on the same side of the street as the market. These spaces are reserved for us from 11:00 until about 16:00. Parking on the other side of the street is free from 12:30. These spaces are not reserved for us, so they are first-come-first-park spaces. NOTE: Do not park in the loading zones until 13:00. You can get a ticket if you do! 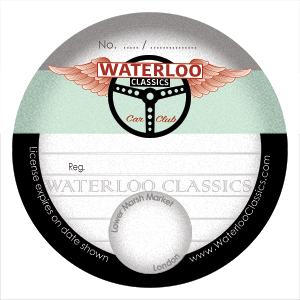 We are printing official parking discs and they will be available in May. They will be round and should fit nicely into your tax disc holder. You can also print out the flyer (which has a disc on it) and display it on your dash board.